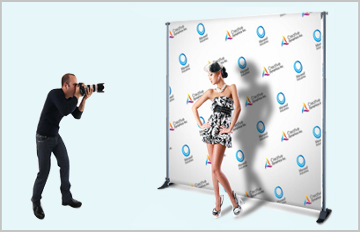 Vinyl step and repeat photo backdrops are an affordable alternative to fabric step and repeats. 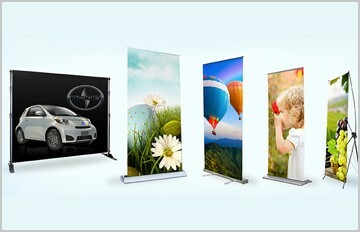 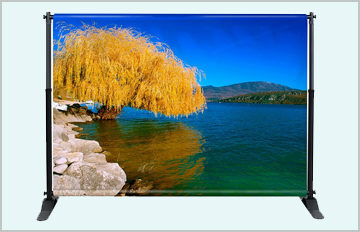 They can offer bolder colors and higher-resolution graphics for those photo perfect needs. 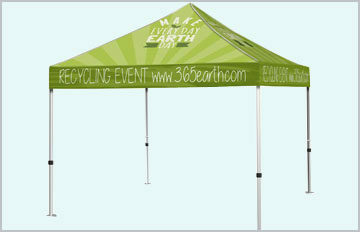 Stand out with outdoor-ready, custom pop-up shade tents. 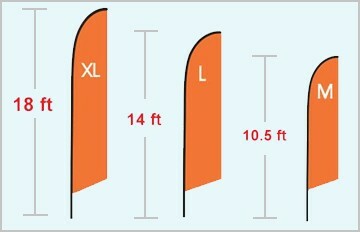 Large-format fabric printing allows for seam-to-seam graphics. 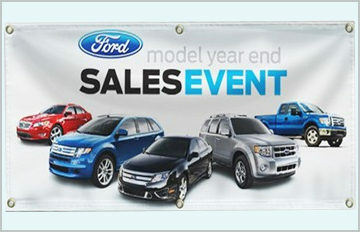 Each order includes the canopy, aluminum frame, stakes, ropes, and carrying case.